A couple of weeks ago I went to my first Outside Thoughts event. It’s a simple format. Short stories are selected and given performed readings which are then made available as podcasts. Very straightforward, very well done. Anyway, enough about other people. 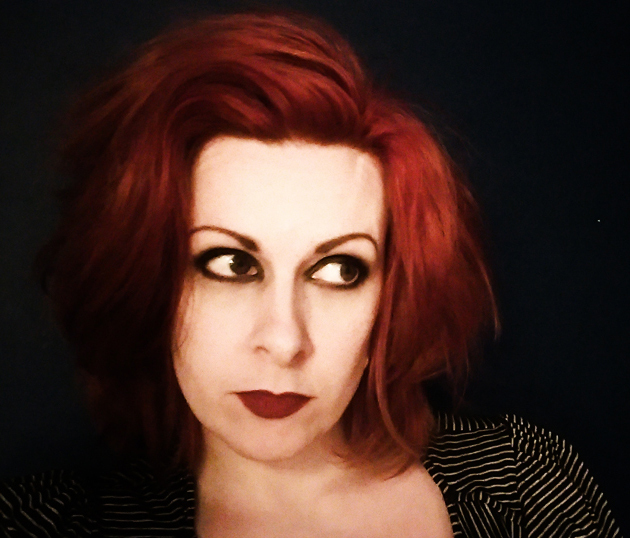 My story was written when I was 22 – I was still walking with a stick after the massive car crash, just past the first anniversary of my Dad’s death, coming up on the second of my Mum’s , still feeling like I was living on borrowed time because I was on cancer watch myself. It was a hell of a time. I wasn’t writing much, because, as I’ve discussed here before, I was too deeply submerged in the trauma to make much sense of it yet. I could write, by which I mean I could construct things competently, but I couldn’t yet get anywhere near the things I needed to write, which meant that things didn’t quite ring true to me. When writing doesn’t ring true I quickly lose interest, whether as writer or as audience. Old Woman with Masks was a breakthrough piece for me. 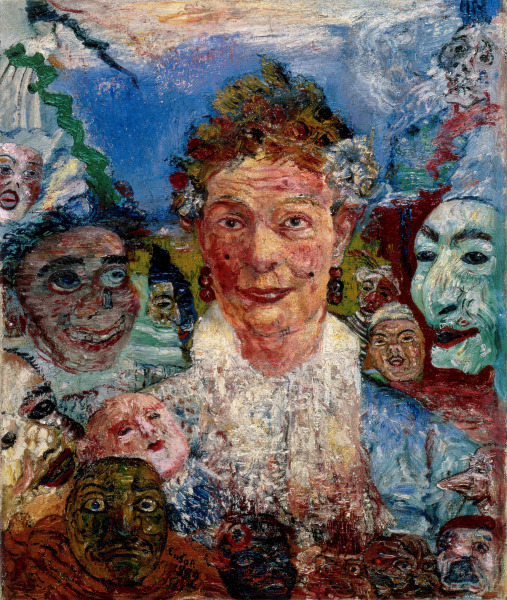 It was the result of a writing exercise in a short story class – I was given a prompt to work from, a postcard showing James Ensor’s Old Woman with Masks. The figure in the painting began speaking to me straight away, and I’ve loved Ensor’s work ever since. He loved skeletons, I love skeletons, it’s a match made in… somewhere. When I got to Outside Thoughts and saw the lady who had been cast to read my story, I was a bit concerned. Pam Tibbetts, I thought, looked too young, too stylish, too sophisticated for the humdrum, stifled character I had written. And then she began to read, and I was instantly won over. By the time she got a few paragraphs in, I was utterly convinced that this was the way the character in the story looks and sounds in her own head. Pam did a fantastic job, and our chat afterwards was lovely. I love it when performers can take my view of a character and turn it on its head, especially when it’s a character originally of my creation. This entry was posted on Sunday, September 30th, 2012 at 15:16	and tagged with Art, Artists, Cross-Plaform, Dead Parents, Glasgow, James Ensor, Jen McGregor, Old Woman with Masks, Outside Thoughts, Pam Tibbetts, Podcast, PTSD, Resonance, Responses, Scenic Route, Scotland, Short Stories, Writing and posted in Writing. You can follow any responses to this entry through the RSS 2.0 feed.